Legacy Hotels guarantees that our website and the Legacy Central Reservations Office number (08444 119 001) will have the lowest rate publicly available to customers on the Internet. If you find a rate lower than Legacy’s Best Available Rate that is viewable and bookable on another website for the same hotel, same room type, same board type, same number of guests, same currency and for the same dates, and advise Legacy within 24 hours after booking your room on our website or through our central reservation number, Legacy will match the lower rate found and give you an additional 10% off each night of the stay. Due to rounding and other issues, rates within 25 pence of our Best Available Rate will be considered a match and will not qualify for Best Rate Guarantee claims. If rates are amended on the Legacy website within 24 hours of your booking to a lower price then a claim will not stand as this was the best available rate at the time of your booking. 1. fill out the online claim form with your booking details. All reservations must be for personal use only and booked by the guest who will actually be staying at the hotel. Reservations booked by brokers or agents will not qualify. Best Rate Claims and any discounted rates issued under this program are not transferable.  Guarantee applies only to reservations made on our website or our central reservation number for Legacy hotels in the UK . Guest must have a Legacy reservation confirmation number. 2. Guest must submit the claim within 24 hours after booking the original Legacy reservation and at least 48 hours before scheduled arrival. If the original reservation was made within 48 hours of arrival, the Best Rate Guarantee is not applicable. 3. The competing rate on another website must be for the same hotel, for the same dates, for the same room type, same board type, for the same number of guests, in the same currency and must be publicly viewable and bookable via the Internet. A viewable rate means that the general public can view the rate on the website. A bookable rate means that the rate is available and can be reserved online. Special rates available only to members of membership clubs or programs do not qualify. 4. Legacy reservation agents must be able to verify, to their satisfaction, that the claim meets all conditions of the Guarantee and these Terms and Conditions, and that it has been properly submitted. 5. Legacy reserves the right to reject a Best Rate Claim and/or to cancel any discounted rate previously issued by it in the event of fraud or abuse of this Program or non-compliance with these Terms and Conditions. 6. For a multiple night stay, the total room cost for the stay will be evaluated in determining whether the other website has a lower rate. 7. Any rate change is not effective until the guest receives written confirmation. The standard claims processing time is 24 business hours. Claims submitted outside of business hours will be processed on the next business day. If a guest’s stay begins before written confirmation is received, the original rate will remain in effect. Legacy recommends that the written confirmation of any rate change be presented by the guest at check-in. 8. The Guarantee applies only to published rates available to the general public. This excludes private rates, rates involving a prepaid voucher program, require a coupon or promo code, hotel rooms sold as part of a travel package, corporate discount rates, group rates (5+ rooms), meeting rates, or other organization where the rates are targeted toward a specific group of individuals and not intended for the general public. 9. 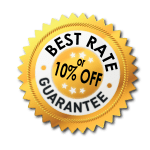 The Guarantee does not apply to websites or rates where the Legacy brand and/or specific hotel and location are not known until the booking is made such as Priceline® or Hotwire®. 10. The rates available under this Guarantee cannot be combined with any other special or promotional offers or discounts. 11. Void where prohibited by law. Legacy reserves the right to modify, alter, suspend or terminate this Guarantee at any time without prior notice at its sole discretion.